Our placements are on working farms, etc. offering a wide variety of experiences. All of our host are visited before they every receive an Equipeople student, and the goals of the programme are talked about in detail. If we feel that a host does not commit in full to our aims then we place students elsewhere. Our hosts know that students are coming to Ireland to learn and improve their practical skills. Each student has an opportunity to choose in which type placement they would like to attend. We endeavour to place each applicant on their choice of farm, but during busy season, this cannot be guaranteed. Our goal is to provide a work experience that will help the student in their future ambitions. On arrival in Ireland, your students receive a welcome pack with information about Ireland and our agricultural industry. 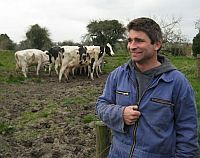 In this pack we give an overview of agriculture in Ireland. Students may be required to do a report on their experience in Ireland and our host farmers are requested to assist the students with this. We want students go home with a comprehensive understanding of Irish farming and our agricultural way of life. We also expect that our hosts will have learnt from the students both agriculturally and culturally. To travel to a new country, with a different language and way of life is a huge accomplishment for any young person. 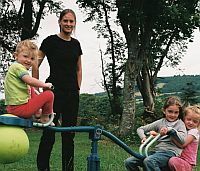 Ireland is a very family-oriented country, with a strong ethos of the nuclear family and roles within it. Our families are carefully selected for their knowledge and understanding of young people and for their strong moral standards, while at the same time allowing for differing opinions and lifestyles. Many of our families have teenagers of their own and therefore understand the modern adolescent and the trials and tribulations that emerging adults can go through. We are here to make the experience as positive and enjoyable as possible. We support and monitor students closely while allowing them the freedom to explore and grow, but we are here in the event of problems or difficulties that might arise. We offer everything from a shoulder to lean on to a listening ear. As students will only speak English during their time here, their language skills will improve greatly. We aim that a participant on our programme will return home having experienced our culture and heritage, with a wider knowledge of Irish farming methods and a more rounded and mature outlook on life. We want our students to go home with great memories of Ireland and a fondness of all things Irish.